On January 14, GMI president and CEO Michael G. O’Rear suffered a sudden heart attack. After several days in intensive care, surrounded by family and friends, Mike died of complications. He was 57. He had led GMI since 1991 and was a faithful contributor to Brigada, both in sending in news items and in sending financial help. In fact, he had just sent his most recent gift about 14 days before his death. Together with others, he co-wrote mislinks.org, helped publish “The World of Islam” and Operation China, developed the web and ebook form of Operation World for Patrick Johnstone and company (as well as the CD and DVD versions too), and much more. The global mission enterprise has lost a champion. But Heaven gained a great citizen — and one day we’ll see Mike again… and he’ll have maps drawn of the entire place… and he’ll distribute them on the latest medium when we arrive, whatever that medium is — he’ll be ready. For is wife, Laura, their four adult children, one grandson, and a daughter-in-law expecting triplets later this year, we offer our most heartfelt sympathy and prayers. For Heaven we celebrate. 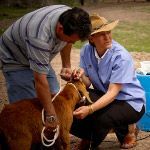 The High Impact Executive Course (E1) is an intensive 3-day training event for leaders who work with volunteers. Led by Al Newell and Associates, the same people who have trained the staff, leaders and volunteers of Voice of the Martyrs, Samaritans Purse (Operation Christmas Child), and Compassion International, to name a few, plus many others. It’s a Biblical model for working with volunteers, revealing the best practices for recruiting, selecting, training, leading and developing volunteers and volunteer leaders. Many who take this training and implement the principles have seen immediate and continued improvement and effectiveness in their volunteer ministries. and finishes on Wednesday April 18th around 5:00 p.m.
1st year free then $90 a year thereafter. 1 mile for every dollar spent. Double miles on United Purchases. Miles never expire and are unlimited. Also, 2 free United Club passes per year. When used to purchase the trip, allows one free bag to be checked. Card plus his status allows free upgrades to economy plus seats. Have you been happy with a credit card like that? I have used an American Express Card since 1991 and by now, they have me in a Platinum version. It’s great because the points will transfer virtually anywhere. But I like Tim’s card because there will be virtually no yearly membership fee. So … what’s in *your* wallet????? (and why?) :-) Please click on “Comment” below — or, if you’re reading the email version of this post, please log onto the web using the link below and leave a note about your best pick. Thanks in advance!!! The 3 presenters, Joshua, Dave, and Tim, are all Kairos-certified Facilitators, on staff full-time with Team Expansion. All have overseas missions experience. Marjorie Collins and Eleanor Rowe have co-authored “The Ups and Downs of Being a Missionary,” a little 93-page book. 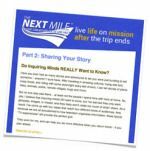 It deals with things a novice to missions worries about and needs to know a bit about, from what it’s like to raise support, to giving to beggars. It’s not for veterans but for those just kind of thinking about missions (recruitment tool? ), those thinking pretty seriously, and probably also those in process of first getting into missions. It may even be a help and an encouragement to a new missionary’s parents or family members. It does not teach details of missionary life, nor theology, nor profound mission strategy. With lots of examples, it teaches ATTITUDES, and allays irrational fears. It raises questions every new missionary needs to think about, and gets a newcomer to missions excited about what he’s considering getting involved in. …For a $200 from our good friends at World Outreach Mission in Georgia. Bless their hearts. May God grant them much energy and strength as they proceed through 2012 in His work! … For Nation-2-Nation, which just put together a brand new community development series (See Item #3 above. 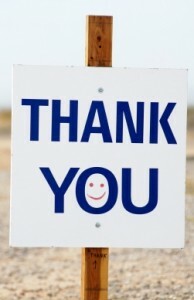 ), for sending a gift of $25 to Brigada. … For an anonymous donor from Little Rock, AR, for sending a much-appreciated gift of $40. … For those who pray for unreached peoples and cities — and those reaching them. 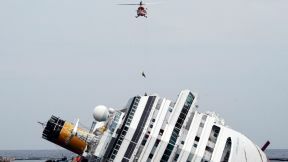 By now we’ve probably all heard about the Costa Concordia, the cruise ship which recently struck rocks off Italy’s coast. The crash seems to have been caused by human error, with the blame having been the Captain himself. He evidently chose to hug the shoreline to greet a former captain (? ), then, to add insult to injury, apparently mishandled the resulting crisis by ignoring the gravity of his actions, failing to take responsibility. At the end of it all, he reportedly tried to escape with his own life, even though his crew and his passengers were in grave peril. At least 16 died. More are missing. Certainly, the captain of the Costa Concordia will have to face justice — and, unless there’s been some kind of misunderstanding, he’ll likely go to prison… maybe for a very long time. Pray with me that the global church can get the word out to the unreached before judgment day happens on a planetary scale. Otherwise, it won’t be just a ship’s captain trying to dream up excuses. today, or call your favorite mission organization, assuming unreached peoples and cities are a priority in their outreach.